If you are separated and thinking about dating again, you’ll know that it’s a time where huge changes meet hope and excitement for the future. To help separated local singles find balance between what was and what will be, we’ve offered our professional relationship advice on the topic. Dating after divorce isn’t always easy, but at least you have a clear, legal mandate to get back in the dating pool. Dating after separation is murkier – yet with a little forethought (and a lot of talking), it’s possible to come to a place where you feel ready for anything, even new love. That said, before you take the plunge, you may want to pay attention to these seven dating tips. 1. Check your state laws regarding the legalities of dating while being separated. First things first: is it legal to be dating while separated? The answer is yes…ish. While going on simple dinner dates and the like is usually fine if you are in the process of going through a divorce, you want to be careful about taking things further. Specifically, if you live in a state that allows divorce on fault grounds, being intimate with a new partner could – potentially – bring accusations of adultery. In turn, this could affect your divorce settlement. However, this doesn’t mean that you can’t date during a separation – just that it pays to check the ramifications with your lawyer first. 2. Allow yourself to feel your feelings. Some mornings you’ll wake up and the whole world will feel full of possibility: there are so many great people to meet and fabulous places for new love to lead you. Other mornings you may still feel twinges about the fact that your first marriage didn’t work out how you’d imagined. The best way to get through is to give yourself the space and forgiveness to know your feelings are valid, no matter what they are. It’s ok to feel blue sometimes, it’s ok to feel free and happy. As long as you have the legal go-ahead, don’t rush back into dating, and are honest when you do meet someone, chances are your feelings will become increasingly more stable and positive. You’ll be able to celebrate the new adventure that lies before you. 3. Only date someone if things really are over with your ex. You might have begun the process of cutting financial and domestic ties with your partner but as Midwest Matchmaking advises, you’re not ready to date someone new until you’ve cut the emotional ties too. If you secretly long for reconciliation, or if you’re thinking of it more as a relationship break than a separation, you simply aren’t ready to be dating. If you want to date someone else to make your ex jealous, you’re not ready. If you want a partner only because your ex has moved on, you’re not ready. Dating during a separation can lead to healthy love – but only if you’re in the right place emotionally. 4. Have that uncomfortable conversation with your ex. Your lawyer isn’t the only one you’ll want to talk to about your intention to date during your separation – it’s wise to check in with your (soon to be) ex-spouse as well, especially if you want to keep your divorce amicable. If you’re almost single in Des Moines again, Midwest Matchmaking says that it’s ”critical” for divorcing couples to talk through sensitive subjects like dating during a separation. 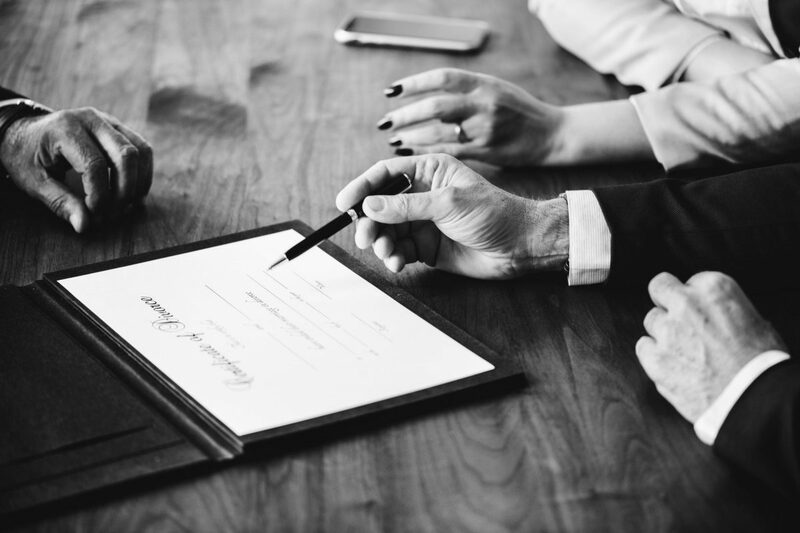 In fact, we recommend that coming to an agreement on dating is as important as covering traditional topics like finances and custody arrangements. If you both keep each other in the loop, not only does it demonstrate your respect for each other, it allows you to see other people without putting yourself at risk. 5. Only date someone if you really like them. Many freshly separated people try to distract themselves from the hurt of a split by seeking a new partner; someone to have on hand because being alone is so unfamiliar. But, if you are dating someone so that you don’t have to be alone, or because you want a replacement for your ex, it’s not particularly fair to them – or you. Not only does it take advantage of their feelings, it can set you back on your road to healing from the separation. That said, if you meet someone who makes your heart flutter, then this might be a relationship you want to pursue. Just be really honest with yourself: are you thinking about dating them because you like the idea of them? Or are you really, truly into them as a person? 6. Spend some time with yourself. Although you may have the legal and spousal go-ahead to try dating while separated, it’s not something you want to rush into. Indeed, even if you can’t wait to find new love, dating right after a separation is only going to lead to more confusion and hurt. Until you’ve come to terms with who you are as a single, previously married person, you just don’t have the emotional availability to start something new. If the extra time in your schedule and being single in Des Moines again is a bit daunting, take up a new hobby, invite friends over, throw yourself into your career. Work on being strong and happy by yourself, rather than trying to get that from someone new. 7. Be honest about your separation. Our professional relationship advice: if you want your new relationship to work out (whether just for the short term or, one day, as your second marriage), you want to start it from a trusting place. If you lie at the start – saying you’re single or divorced rather than separated – it might turn into a much bigger deal when your new partner finally realizes the truth. Far better to be upfront about your relationship status and your relationship intentions, and let this new person fall for the real you. Are you currently separated, living apart, emotionally available, with the divorce pending, and ready to meet incredible singles in Des Moines? If so, give Midwest Matchmaking a call at (515) 414-3536 or visit us at www.midwestmatchmaking.com. Our dating coaches and local matchmakers will help you get back on your feet.